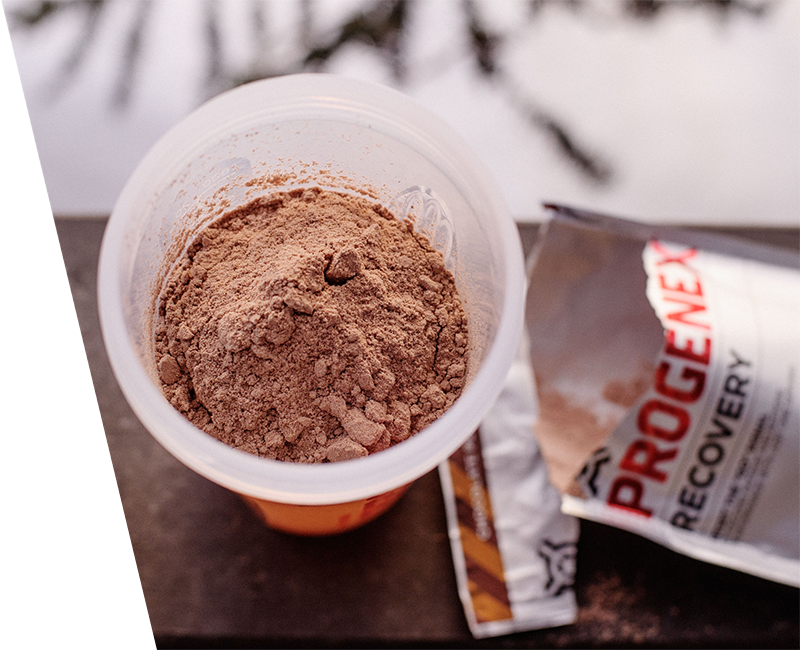 PROGENEX Recovery is a great tasting post workout recovery shake that helps your muscles rebuild and recover fast so that you can train hard again and again. It’s pure, safe, gluten-free and the high-degree of hydrolyzed protein ensures fast absorption and no stomach bloating. High-DH hydrolyzed whey-isolate protein is the easiest to digest form of whey on the plan-et. Considered by athletes and sports enthusiasts the best tasting hydrolyzed protein in the market. Being rich in di-tri peptides allows more rapid and efficient absorption so you feel the effect in just minutes. So, what makes Recovery so special? Recovery consists of a high Degree of Hydrolysis (DH) whey-isolate protein rich in di- and tri-peptides. You may have heard about the more average whey protein concentrate and whey protein isolate, but we use different types of whey protein and an isolate with the highest absorption rate. When you consume protein, it undergoes a process called hydrol-ysis, normally conducted in the GI tract (stomach and small intestine). During this process the protein peptides are cut into small molecules allowing them to ac-tually be absorbed into your bloodstream so they can reach your cells and tissues. The smaller the molecules, the bigger the chances are for them to be absorbed into your bloodstream, thereby reaching the target cells. Unabsorbed protein is wasted. This is why the size of the protein molecules is crucial for absorption. 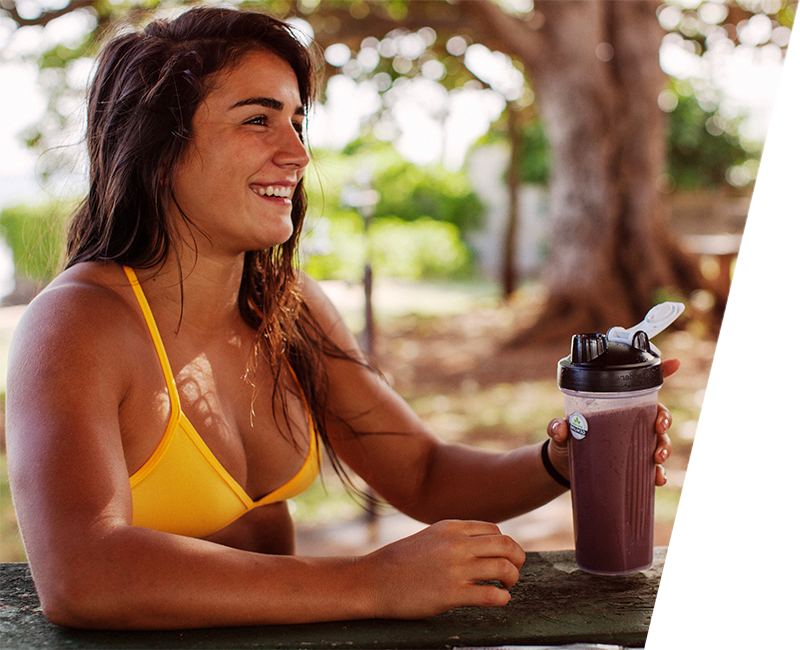 By hydrolyzing the protein outside the human body you are optimizing delivery (so that it goes directly into the bloodstream), which means more pure protein will reach your muscles’ cells and tissue, helping you recover faster. Put simply, it works faster than other proteins and delivers more of the “good protein”. Pro-tein only has value if it reaches the target cells and tissue, where it is needed. So the only valid way to compare proteins is by considering the amount of protein actually absorbed into the bloodstream (because that’s the path to the muscles’ cells). 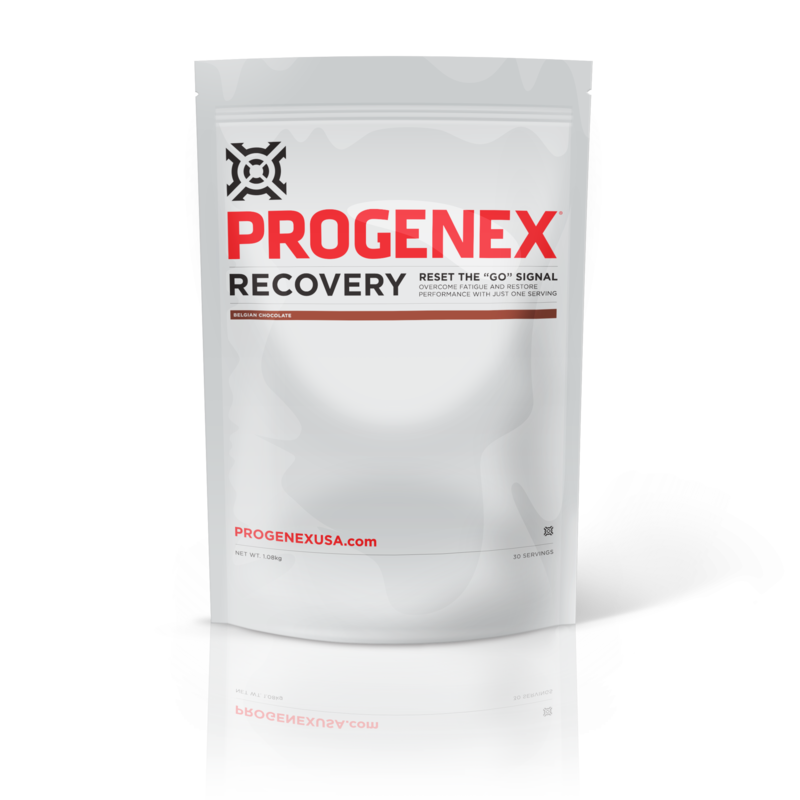 By consuming PROGENEX Recoivery, you effectively “save” your body from the hydrolysis process and help the protein get into your bloodstream. Furthermore PROGENEX is rich in di- and tri-peptides, which several scientific studies indicate as being the superior protein peptides responsible for enhancing recovery. Taken within 30 minutes of your workout, PROGENEX Recovery gives your muscles exactly what they need to recover faster and stronger. Immediately after training, mix two (2) scoops of Recovery with 350 ml or 12 oz. of water. Shake until blended. It only takes a few seconds. Enjoy. Tip: 4-5 ice cubes to your shake or use ice water to make the shake even more enjoyable. No, Recovery consist only of the highest and best ingredients available, produced at world leading facilities. No GMO, nasty additives or blends. I have a lactose intolerance - can I use this product? Yes, Recovery is lactose friendly and cause no stomach bloating. Can I mix it with BCAA? Is it needed? Yes, you may, but you cannot replace Recovery with a BCAA product. Recovery´s tiny peptide sequences (di and tri peptides) of amino acids have a superior effect in muscle recovery. 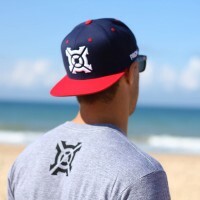 What is the difference between PROGENEX and other brands of hydrolyzed whey? Most brands use the lowest degree of hydrolyzation in their products just to label it as hy-drolyzed whey. We use only the highest degree of hydrolyzation and we constantly work on making it higher and more effective. Furthermore, PROGENEX Recovery only consists of 100% hydrolyzed whey isolate and not a blend with other cheaper sources of protein. Last but not least, our unique flavouring techniques allow us to produce a product that nor only works but also tastes great. Using it is enough or should I mix it with other products? Depending on your goal you may mix PROGENEX with other product to reach you results faster. Try our GUIDE and find the bundle that suites your individual needs, and get a per-sonalized guideline. How fast should I notice the difference/effect? Recovery works in just minutes. You may feel the wellbeing immediately and less fatigued. 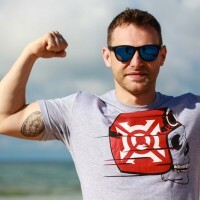 Is it worth the price compared to other protein supplements on market? We believe it is, but it’s hard to speak for others. When talking about value it’s a personal question of ones financial considerations. Just remember when comparing proteins that it’s the amount of protein absorbed that’s really of interest rather than just the amount you consume. Its all about quality – you may compare it to grocery shopping; some might go for the cheapest discounted cost of grocer-ies, while others value the quality of food and taste. Or just like some might choose the cheapest globo gym nearby, filled with bad equipment and no personal assistant, while others go for quality training with basic movements and personal relationship. It’s the same with nutrition. By choosing Progenex you settle for nothing but the best.